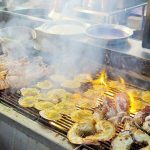 Thailand blog — The fullest Thailand travel guide for a budget trip to Thailand for the first-timers - Living + Nomads – Travel tips, Guides, News & Information! 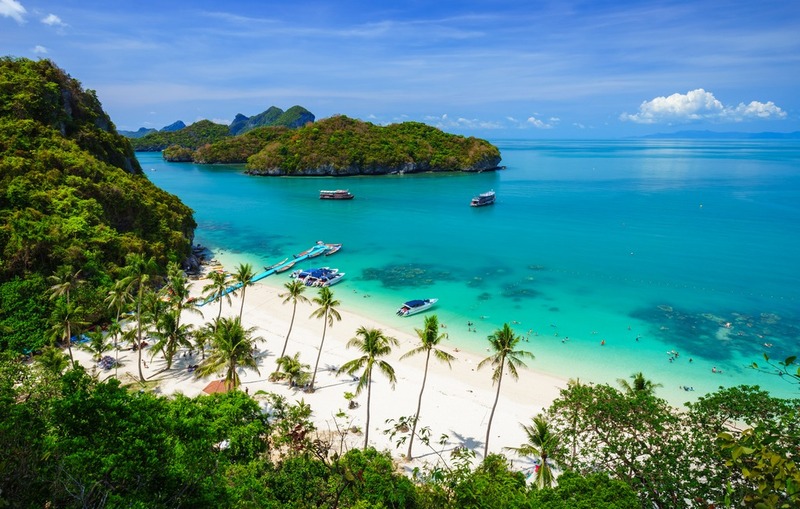 Thailand is well known for its tourism industry, which is one of the most attractive destinations in Southeast Asia and Asia and the world, with an average of over 14 million visitors per year. In many of Thailand’s most attractive destinations, Bangkok is always on the list of the best destinations in the world. There are a lot of nice nicknames that tourists have been bestowed for this beautiful country such as: “The land of the Golden Temples”, “Tourist Paradise”, “Shopping Paradise”, “The land of friendly smiles”… You will be very excited when traveling Thailand by the beautiful scenery, magnificent pagoda and temples, wonderful entertainment and amusement areas, traditional unique festivals and especially are countless shopping opportunities are available at busy and bustling cheap shopping malls. 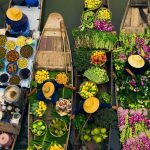 Now, let’s check it out our Thailand blog (Thailand travel blog) — The fullest Thailand travel guide for a budget trip to Thailand for the first-timers below. Wat Phra Kaew. 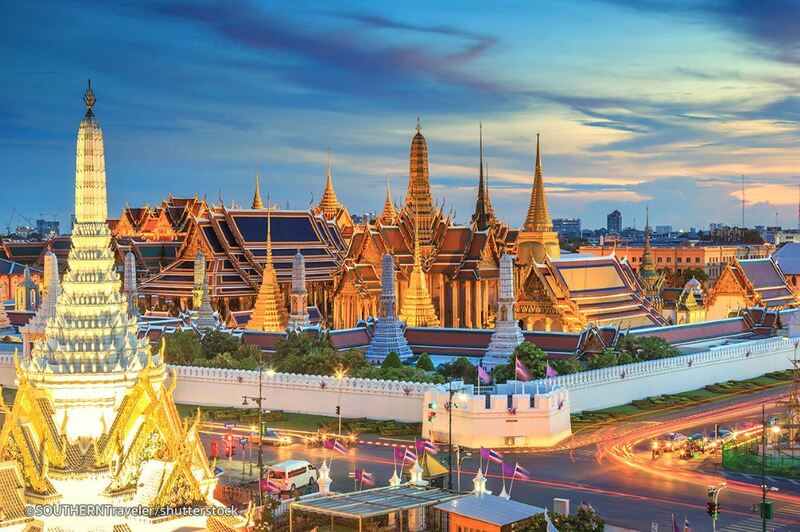 One of the must visit places in Bangkok. 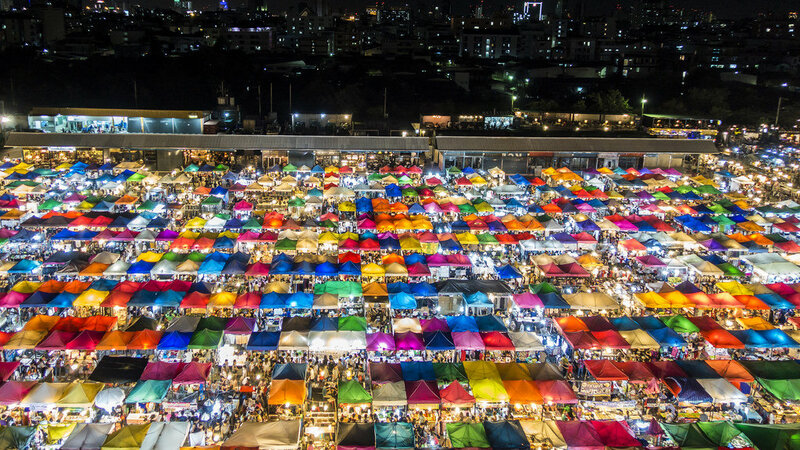 Rod Fai Night Market or Ratchada Train Night Market – One of the most attrative night markets in Bangkok, Thailand. 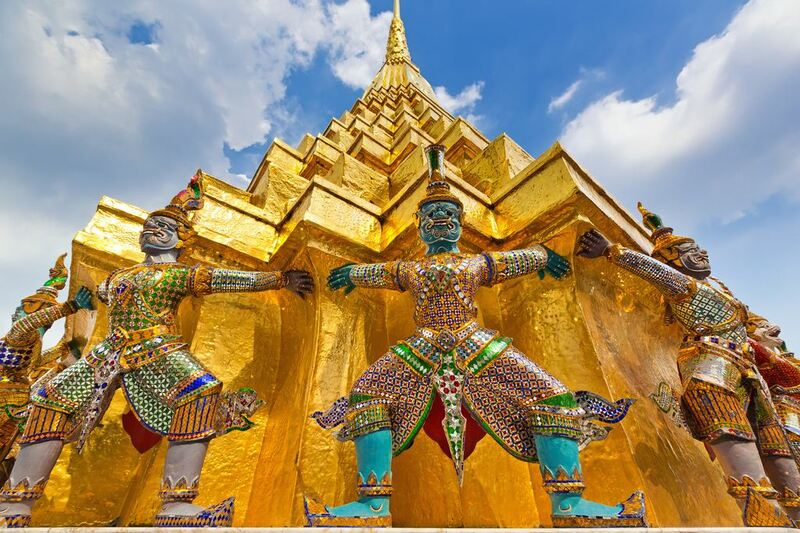 Thailand blog: When is the best time to visit Thailand? Thailand has a tropical monsoon climate, hot all year round, its climate is quite similar to the climate of Saigon, Vietnam. 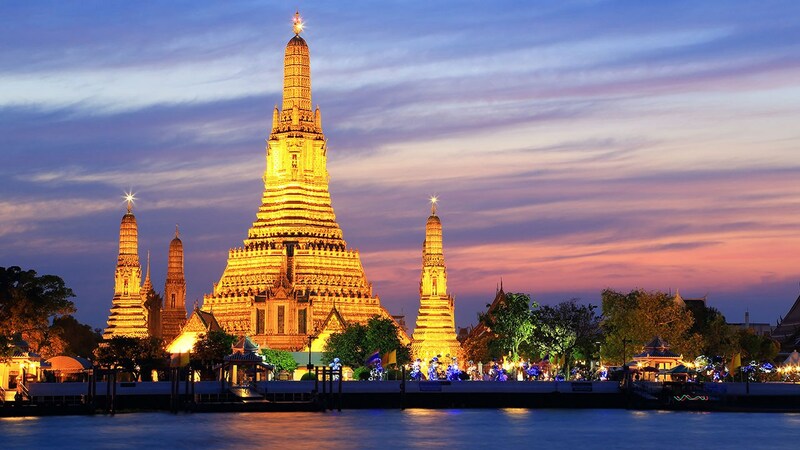 Therefore, the best time to visit Thailand is probably from November to February. Because it is a very dry time, less rain and not too hot. If possible, you should avoid traveling to Thailand between June and August. Because during this time the weather is quite hot and there is heavy rain, the rains often appear abruptly, which will cause disruption to your trip. In addition, if you want to explore, experience Thai’s culture, let’s come here on mid or late April to participate in the famous Songkran water festival of this country! This is the traditional New Year celebration of the Thai people. 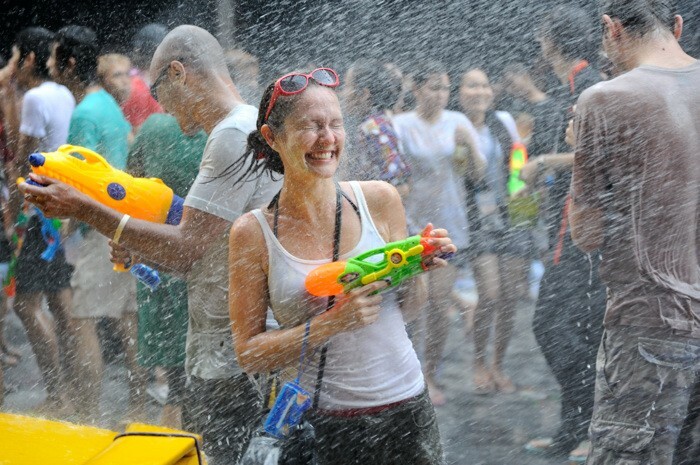 At the time of the festival, all Thai people and tourists are on the road and participating in water splashing activities, shooting the water is extremely exciting. However, according to Thailand’s current self-sufficiency travel trend, people often pay less attention to the choice of time. Instead they will choose their free time and just need have cheap airfares is ready to pick the suitcase and go! You can easily find your own guesthouses, hotels at every room rates and every room class in every city in Thailand. Price of economy class guesthouses about 300 Baht per night in urban areas and about 200 baht for more remote areas. However, in large cities like Chiang Mai or Bangkok, you may have to spend about 400 Baht for a room per night. In the islands, a medium hotel room, or a bungalow, will cost about 600 Baht per night. Hotels are rated two star, three star or more, luxury hotels, usually cost between 1.300 and 1.400 Baht per night and cost an additional 300 Baht (1.700-1.800) if you choose to stay at the resorts on the islands. Where to stay in Chiang Mai? — Top 3 best places to stay in Chiang Mai for first timers. 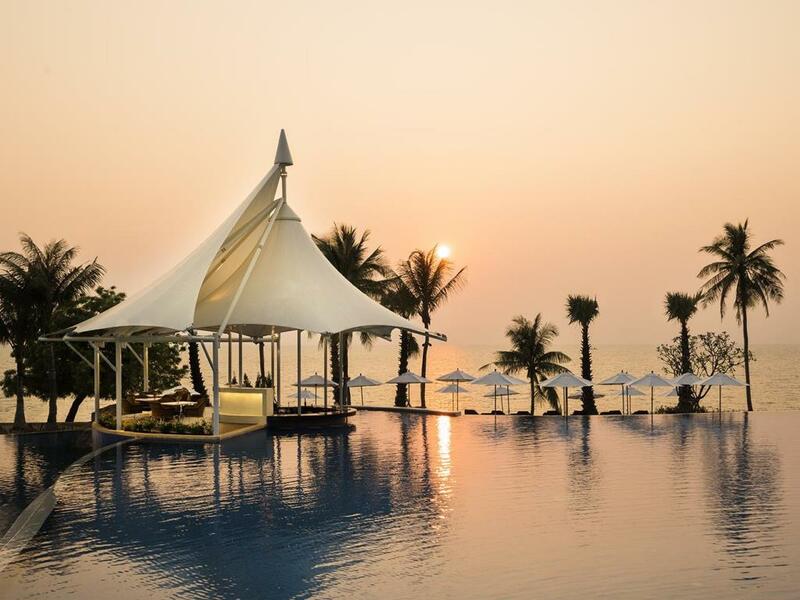 Where to stay in Hua Hin? — Top 4 best places to stay in Hua Hin for first timers. Where to stay in Phuket? 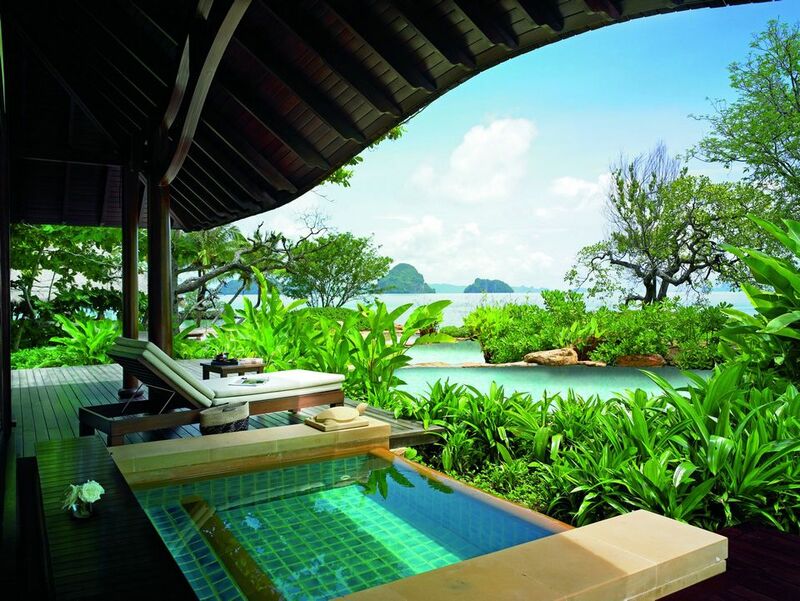 — Top 10 best areas to stay in Phuket. The cost of meals here is not more expensive than in Vietnam. 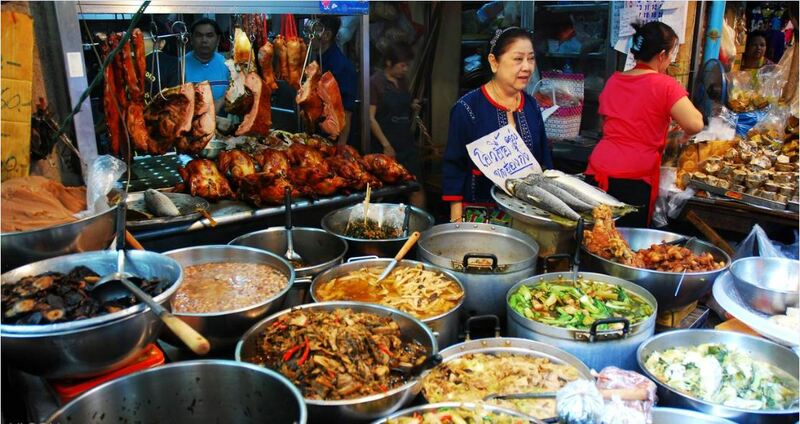 Normally, street food and middle-class restaurants range from 100 to 500 baht for a full meal. 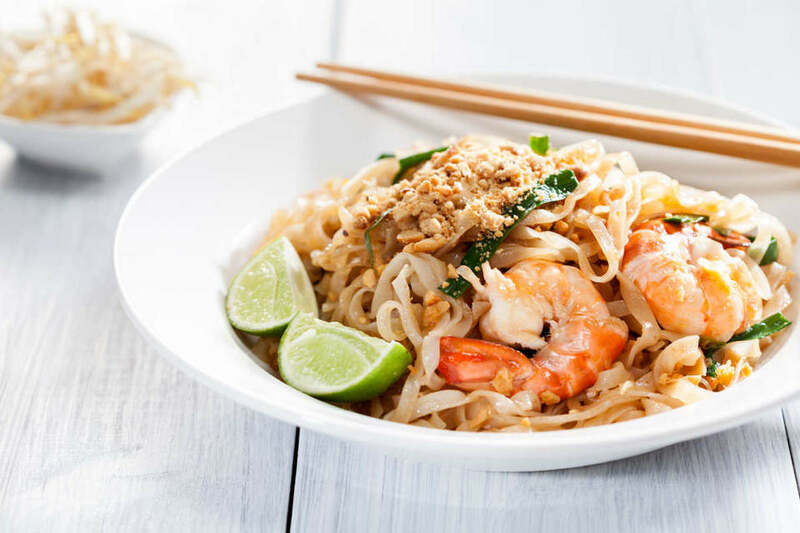 Some Thai dishes that you should try are: Tom yum, tom kha, sontam, mango sticky rice, curry, seafood with sauces (spicy sauce, pepper sauce, sweet and sour sauce …) and soups. In addition, Thai vegetarian dishes are also a culinary feature that you should try. 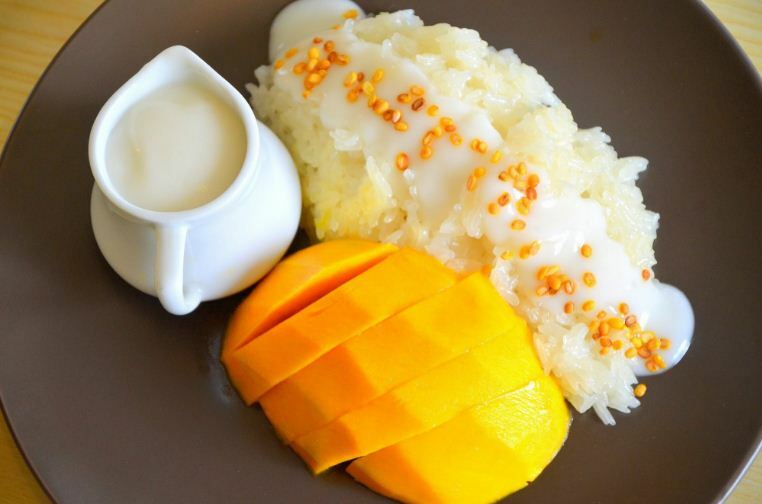 Mango sticky rice. Image of Thailand blog. You should choose the vehicles depending on the number of people in the group. If you are traveling alone, you should rent a motorbike taxi or use public transport system (BTS, MRT in Bangkok, songthaew/ bus, running fixed routes in other provinces). 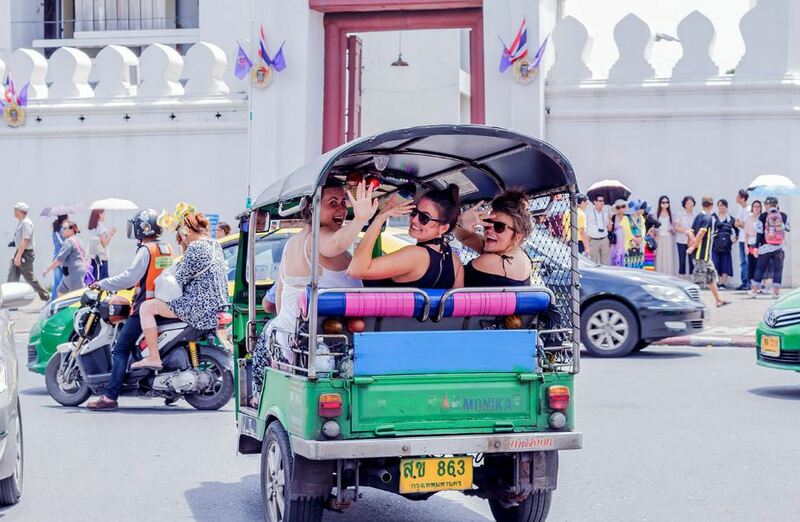 If you are traveling with a large group, you can choose to rent a taxi or tuk tuk on a trip and then share it to reduce costs and ensure safety. Most of these vehicles help you move to anywhere in the city at relatively cheap rates (less than 100 baht per person per trip, except for too far). 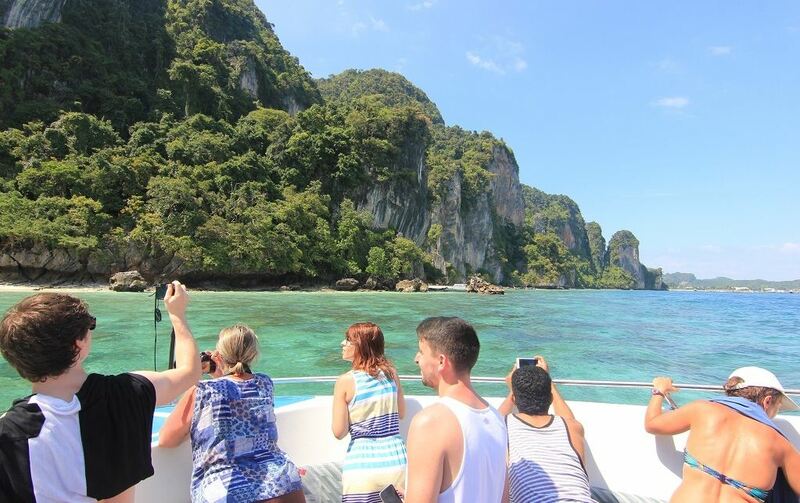 In addition, speed boat, ferry, longtail boat, … are also excellent vehicles to travel in Bangkok or the south islands. The only note is that except for Public transport vehicles are listed price, you should deal directly with the driver about the mileage and cost before depart to make sure you do not spend too much money. A self-sufficient Thai travel experience that are favorited by many visitors is to choose to go to Thailand in the sales season. On this occasion, all the stores, shopping centers, outlets, … all over the country are offering discounts, promotions and extremely incentives. From fashion stores like H&M, Zara, Forever21, or sports shoes brands such as Adidas, Nike, … have discounted from 30 to 50%. Suitable for both shoppers and those who simply want to buy cheap. If you also want to come to Thailand for the occasion, choose between June to August or the end of the year. 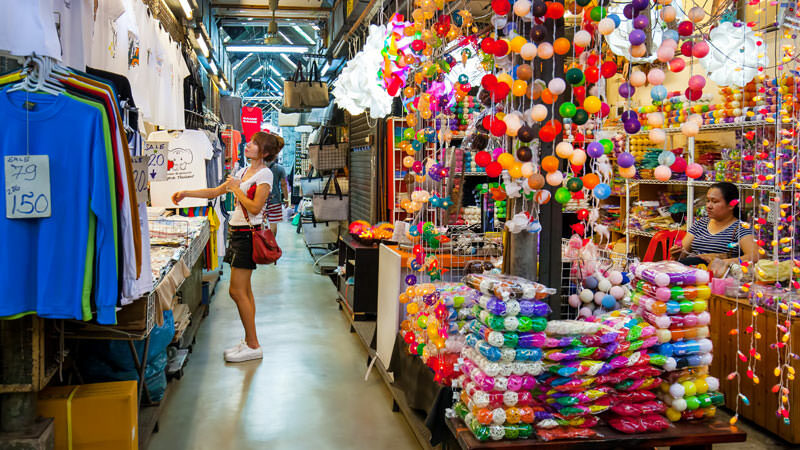 In addition to the above incentives, many shops (both in the market and shopping center) also have many incentives for customers who want to buy more. 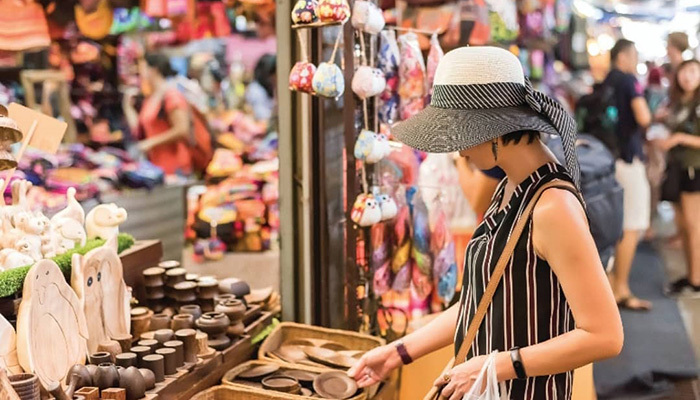 Not only at the famous wholesale markets such as Sampeng (Hua Lamphong), Chatuchak, or night markets, almost anywhere you only need to buy 3-5 items (belonging to the same item) will be discounted. Therefore, if possible, save money by “gathering” in general to buy to get the most quantity and the best discounts. 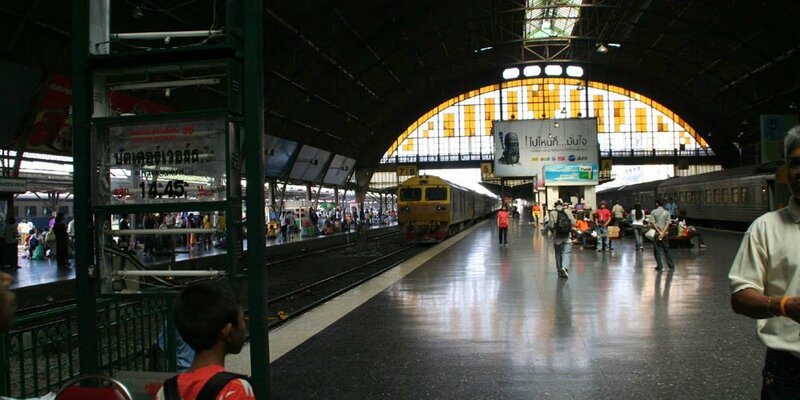 Buses, trains, BTS and MRT are vehicles that anyone who visited Thailand would recommend for you. This is because they will save you a lot of money when moving. Moreover, with buses and trains, you can travel to other provinces, cities, towns or neighborhoods at lower cost than using airplanes or motorbikes. Photo by: Thailand travel blog. 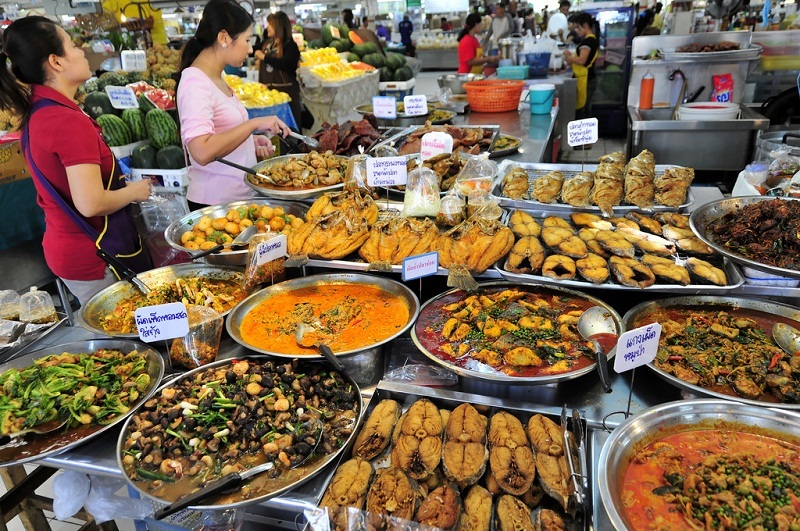 Street food is always in the top of delicious food you should try when visiting Thailand. Processed and sold on the streets of ” the land of Golden Temples” but these dishes still very delicious, characteristic and also help you save more money. To save more money for fun, entertainment activities, you should buy essential items, such as drinking water, snacks at convenience stores. Because these stores are always fixed prices and quite close to the original price. In addition, these stores are available throughout the provinces of Thailand, very convenient for you to shop, prepare before the trip. Especially, if you are going to go to the islands or take a cruise, shopping here will be much cheaper than buying on the spot or buying from the hotel. One of Thailand’s most saving self-sufficient travel experiences is pre-booking tickets for sightseeing tours, fun activities. With amusement parks such as Safari World, S.E.A Life, or island tours in Southern Thailand, you can pre-booking tickets online at a discounted price of 10% – 30% more than buy directly. In addition, advance booking also helps you save time and prepare better for your holiday. * You should pay attention to buy at companies with specific headquarters to ensure not to buy false tickets. 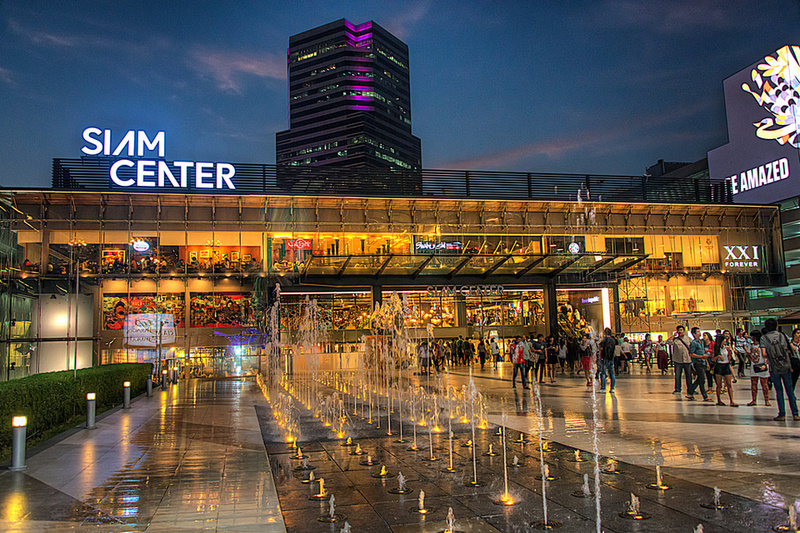 Thailand blog: How to get from Suvarnabhumi Airport to Bangkok center? We have very details guides for you to refer to in this article. 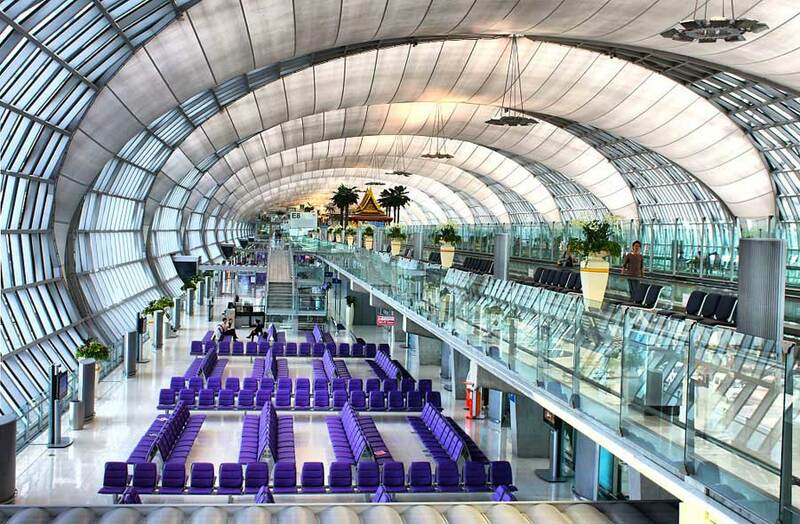 Let’s read: Suvarnabhumi Airport to Bangkok — How to get from Bangkok airport to city? 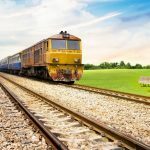 Thailand blog: How to getting around Bangkok and Thailand? We have detailed guides here. 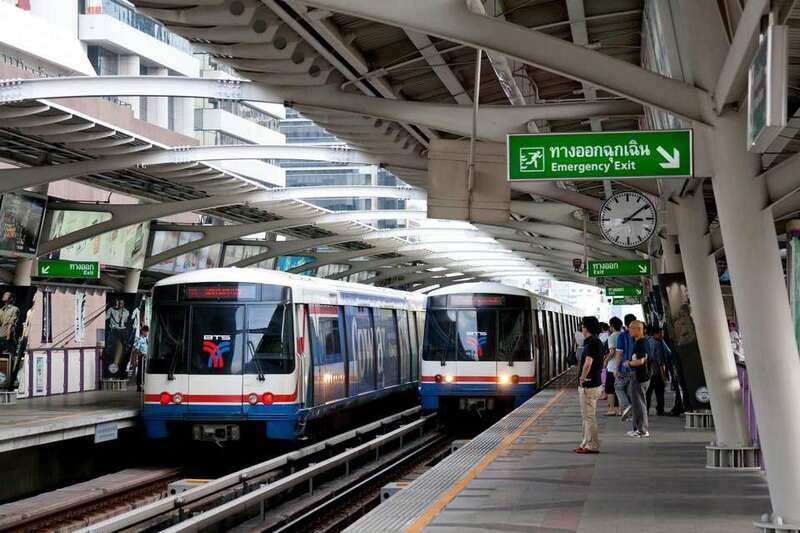 Let’s read: How to get around Bangkok by BTS Bangkok, MRT Bangkok & Bangkok Airport Rail Link? Tuk tuk is cheap and ubiquitous means of transport in Bangkok. The tuk tuk experience will surely make you never forget the unexpected speed of this means of transport on the busy streets of Bangkok. 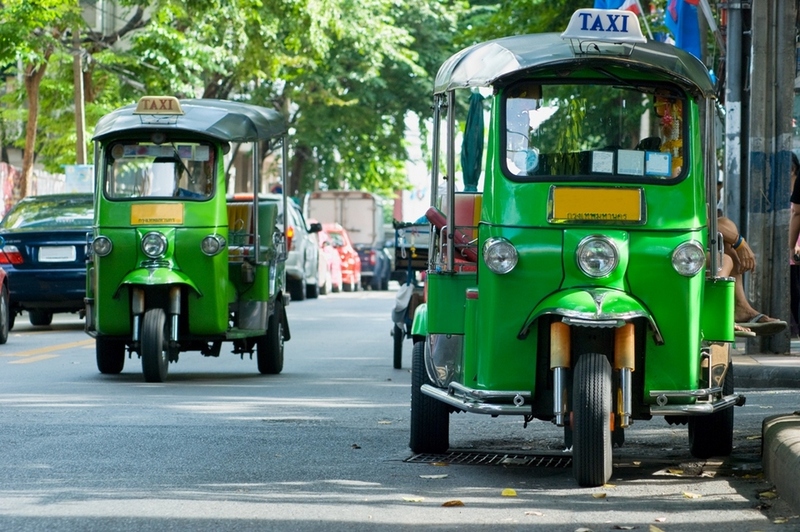 When traveling short distances, tuk tuk is much better than taxi because of the ability wriggled of talented drivers. 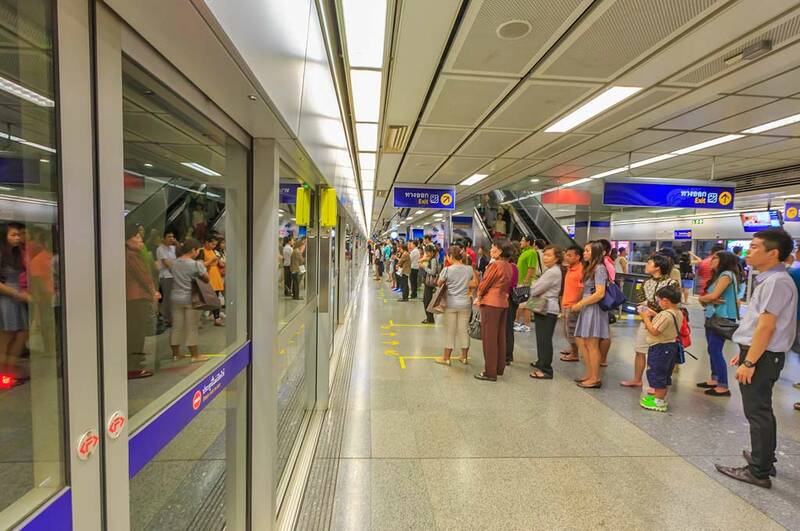 If you only intend to travel to areas such as Siam, Silom, Sukhumvit and Chatuchak then BTS and MRT are enough. 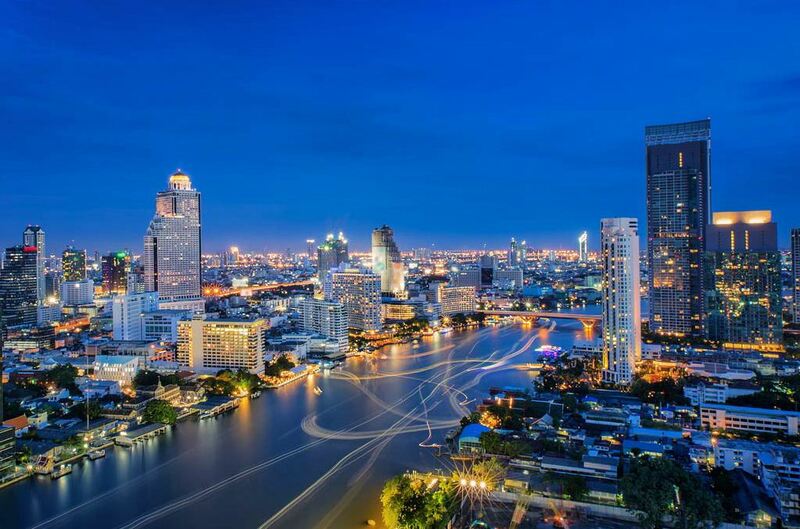 However, if you want to go further into areas such as the West Khao San neighborhood, Chinatown or other places along the river, tuk tuk is one of the better option. 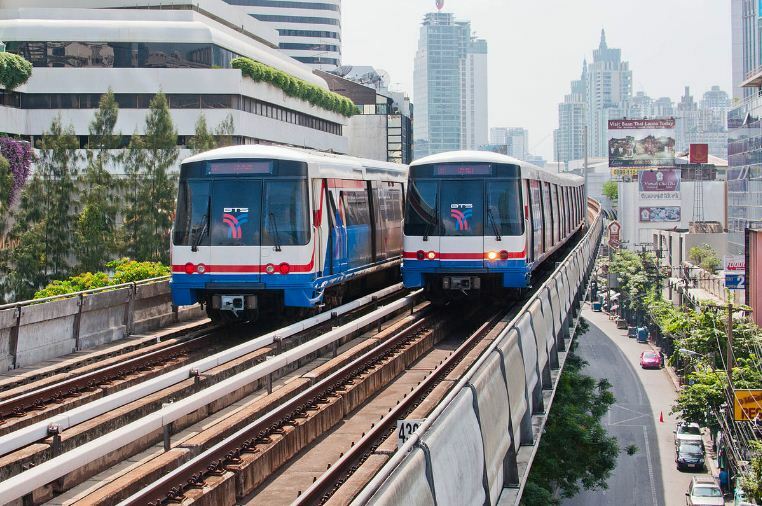 One of the most convenient ways to getting around Bangkok and Thailand. For the price, with a tuk tuk trip for about 5 minutes, you can pay 30 baht. Always pay the price before depart. The offer is quite flexible, but we recommend that you pay a lower price of about 15 to 20 baht of the price offered by the driver. If you want to pay a “hard” price can reduce about 25% to 50% of the amount, especially for long distances because the initial price is quite high (from 300 baht or more). 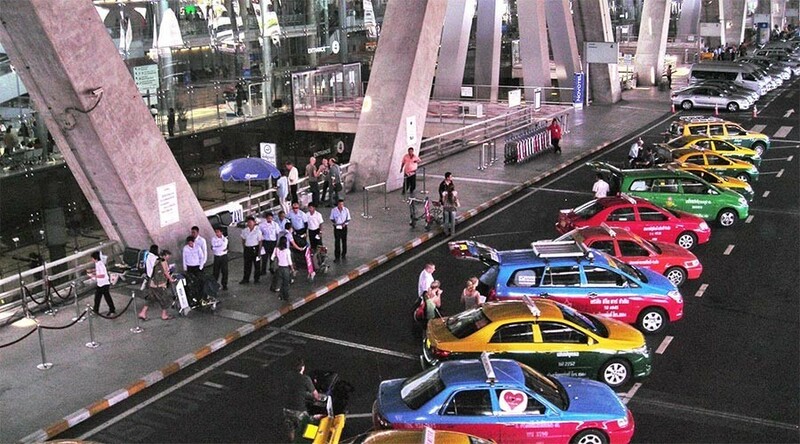 Taxis are quite popular in Bangkok and are especially convenient to Bangkok’s areas where BTS and MRT systems do not cover such as the Northeast, North West (Chinatown and Western Old Quarters) and some locations in Southern. The price shown at the start of the taxi is 35 baht, and the price will remain in the first 2 km. After that, every kilometer will increase to about 5 baht. 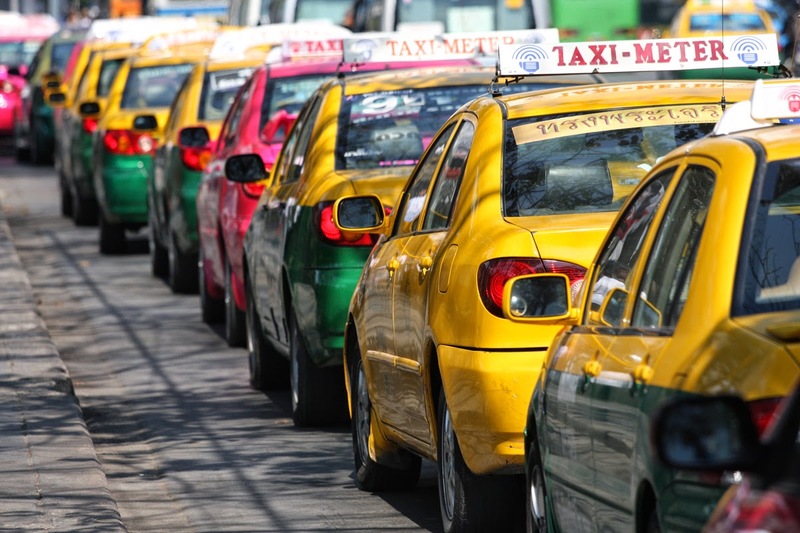 During traffic jams, there will be an extra charge of 1.25 baht per meter traveled. In general, if you go about 3 km by taxi, only pay about 50 baht (no need for the tip money). 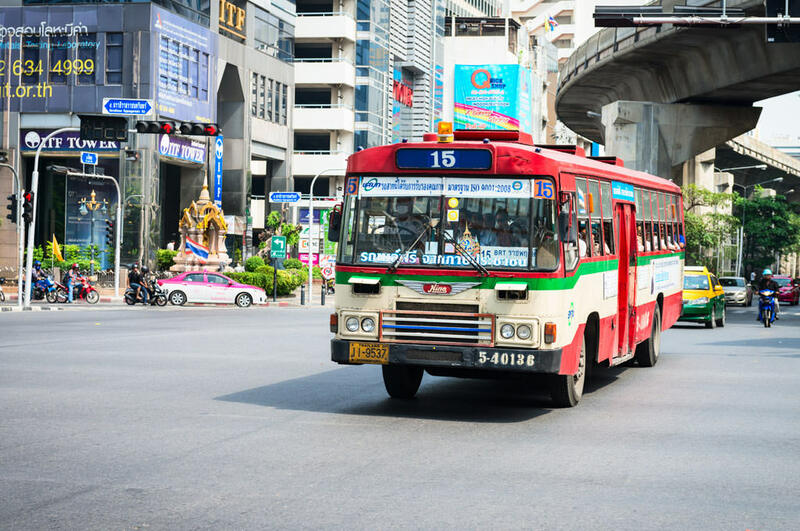 There are many types of buses in Bangkok, each type running on a different route, so you can go anywhere if using this type of public transport. However, the bus service is not very good, and most of the information boards on the bus are in Thai language, so it is difficult for foreign visitors to know which bus to pick. Let’s get a BMTA bus map at the bus stop. Note that only get up the bus that number and color are correct with the instructions in the map because the same bus number but different colors can go the other routes. 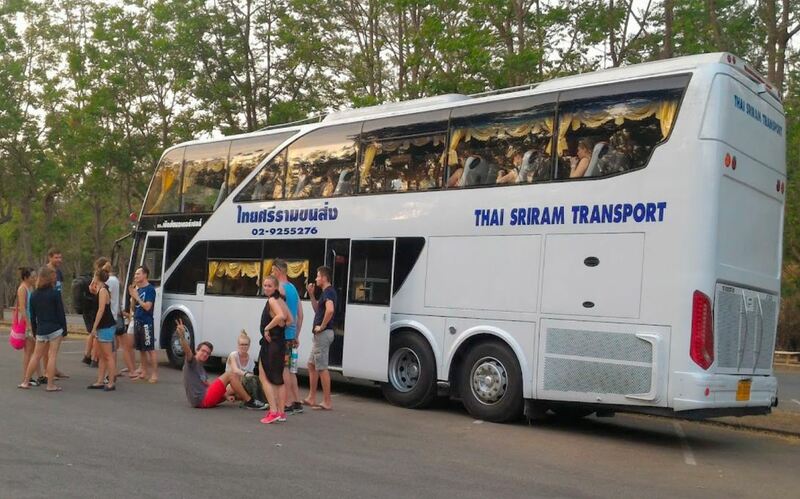 Bus prices range from 7 baht to 22 baht depending on the distance and type of car. EURO II car (orange) is the most comfortable with good service and new air conditioner. We have detailed guides here. 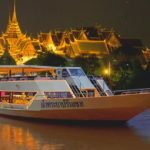 Let’s read: Chao Phraya tourist boat — How to getting around Bangkok by boat? 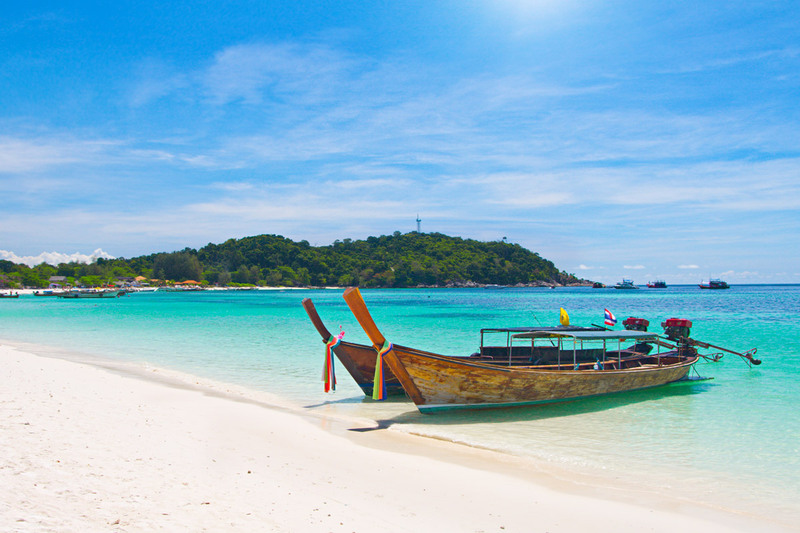 Read more: Bangkok to Krabi — How to go to Krabi from Bangkok? 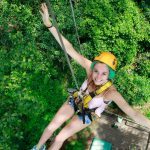 Thailand blog — What to stay in Thailand? 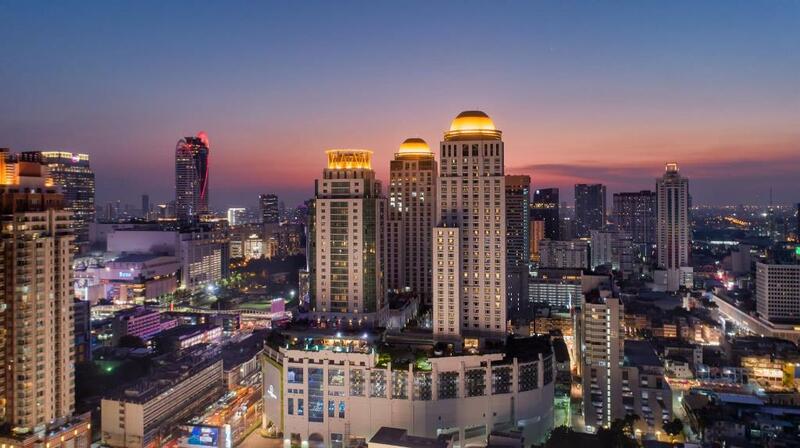 In Bangkok, if you have a lot of money, you can choose 5 star hotels here (from $110 or more). 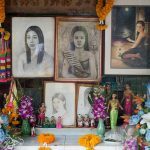 Or you can choose from many budget hotels in the area of Patchaburin Road, In the Soi, there are guesthouses and hotels with 2, 3 star standard, prices range from $25-$33. According to our Thailand travel guide, you should choose hotels in the downtown area for convenient travel and do not spend a lot of time. (Because Bangkok always has traffic jams). 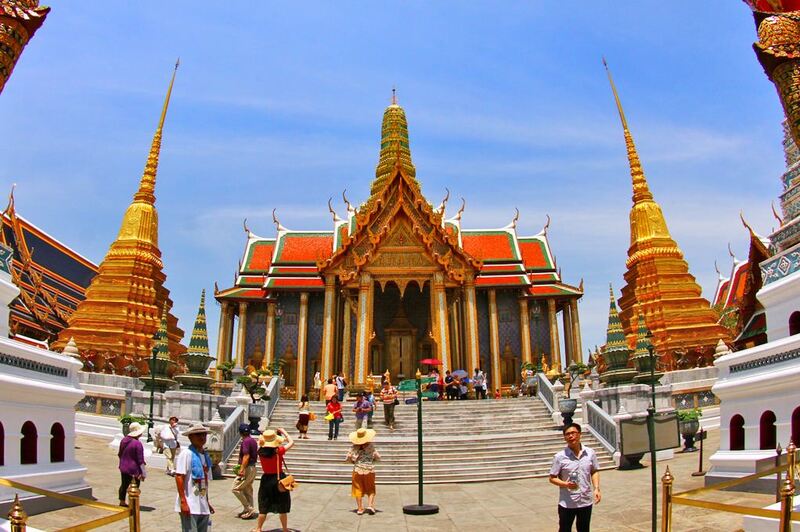 If you want to easy to moving to some famous tourist attractions such as: Grand Palace, Wat Pho, Wat Arun, Walking along Chao Phraya River… You should choose the hotels in Khao San Road or around Grand Palace area. If you want to buy clothes, bags, shoes, cosmetics … you can rent hotels in Chatuchak area, Siam Pratunam. Or to enjoy Thai cuisine, you should rent room in the area near China Town. 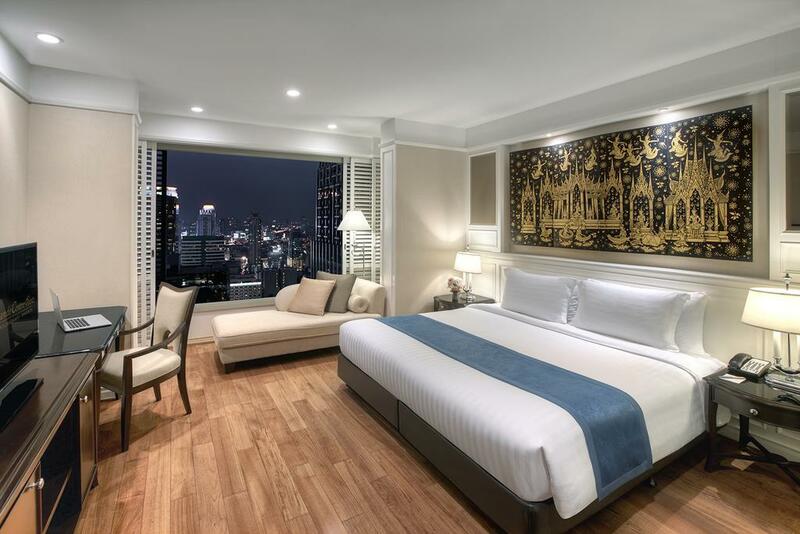 The Berkeley Hotel Pratunam – 559 Ratchathewi, Pratunam, Bangkok – The 5 star standard, rated 8, priced from $214. 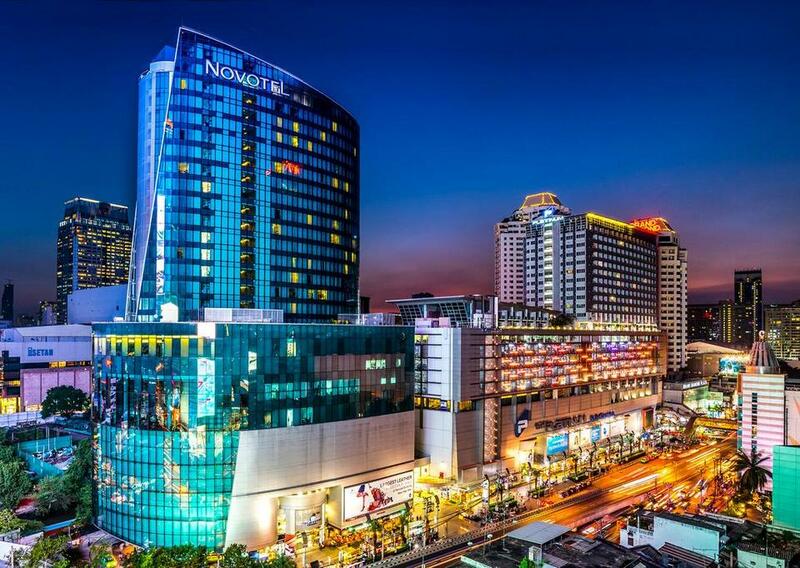 Luxury hotel in Bangkok, with good location, convenient transportation and shopping. Modena by Fraser Bangkok – 2527 FYI Center, Rama 4 Rd., Khlongtoei Distric, Sukhumvit, Bangkok – 4 star standard, price from $53. The hotel has medium price, reasonable price. But the quality is appreciated, good service. Riverine Place Service Apartments – 9/280 Moo 7 Phibulsongkhram Rd., Muang, Nonthaburi City Center, Nonthaburi – 3 star standard, prices range from $29. With a cheap price when traveling in the big city, you can experience the best services at this hotel. 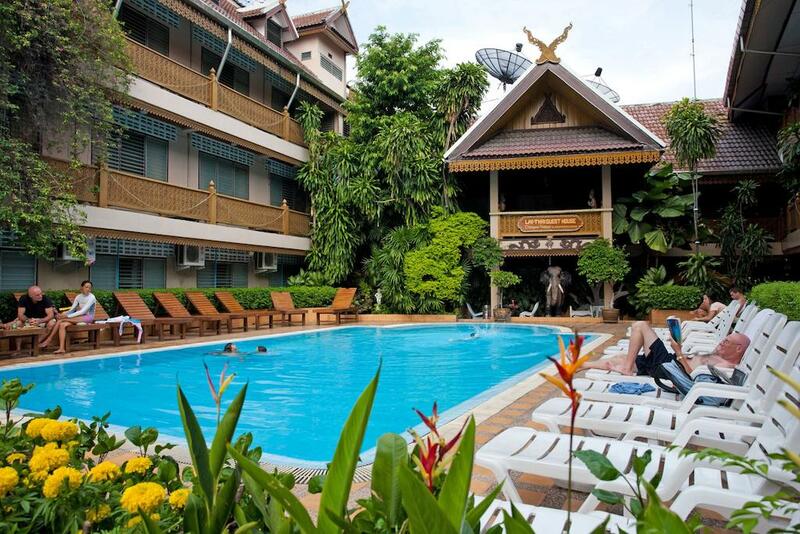 The Imperial Mae Ping Hotel – 153 Sridonchai Road Chang Klan District, Amphur Muang, Night Bazaar, Chiang Mai. 4 star standard, price from $42. Overall the hotels in Chiang Mai are relatively cheap, but still has good room and service. Pornping Tower Hotel – 46-48 Charoenprathet Road, Night Bazaar, Chiang Mai. 3 star standard, price from $22. Lai-Thai Guesthouse – 111 / 4-5 Kotchasarn Rd., Old Town, Chiang Mai – Standard 2 stars, price from $12. The hotel is chosen by many visitors when traveling in Chiang Mai. 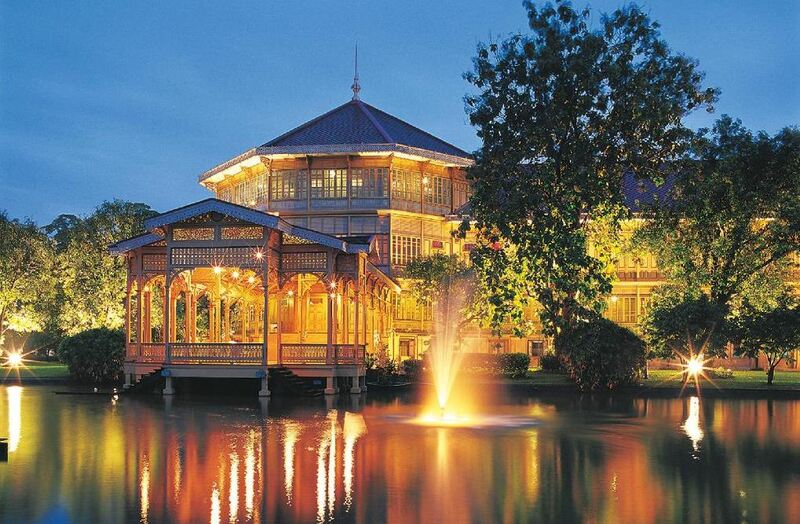 Read more: Where to stay in Chiang Mai? — Top 3 best places to stay in Chiang Mai for first timers. 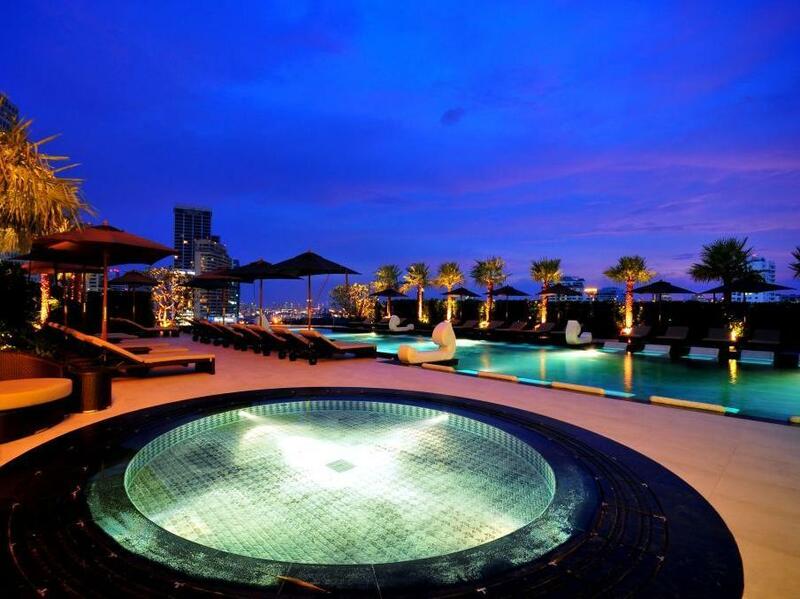 Movenpick Siam Hotel Pattaya – 55 Moo 2 Sukhumvit Road Km. 156.5, Na Jomtien, Pattaya – Five star standard, room rates from $144. 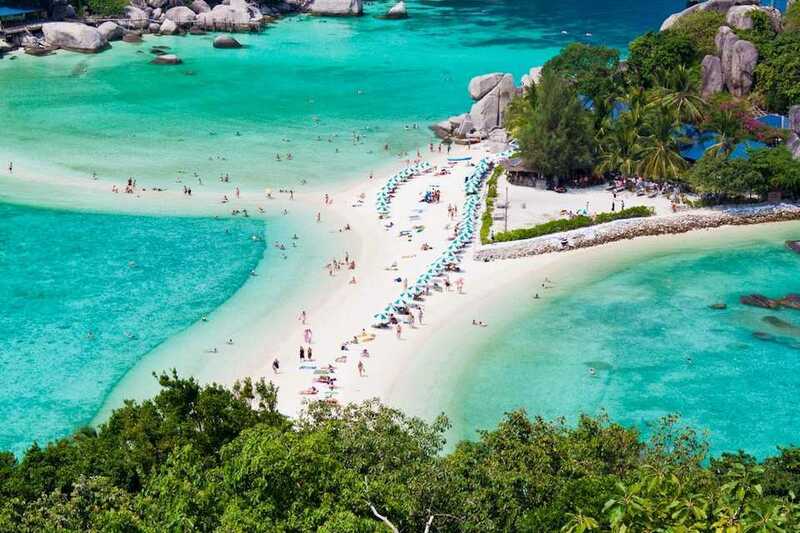 Visiting Pattaya Beach City you can not be missed luxury and famous hotel for the best relaxing moments. A-One Star Hotel – 115/11 Moo 9 Pattaya Beach Road soi 3 North Pattaya Beach Road, Chonburi, Pattaya Beach Road – 3 Star standard, price from $22. 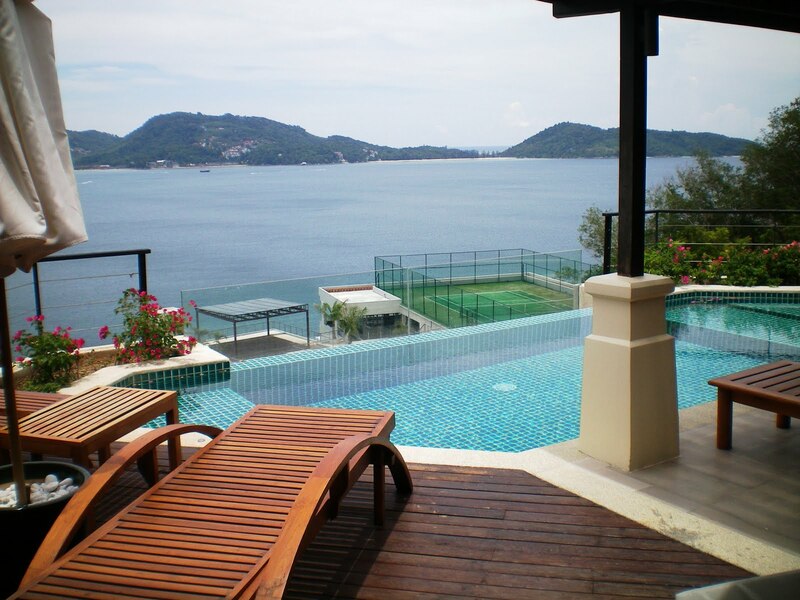 IndoChine Resort & Villas – 328 Prabaramee Road, Kalim Bay Beach, Patong, Phuket – 5 star standard, price from $95. 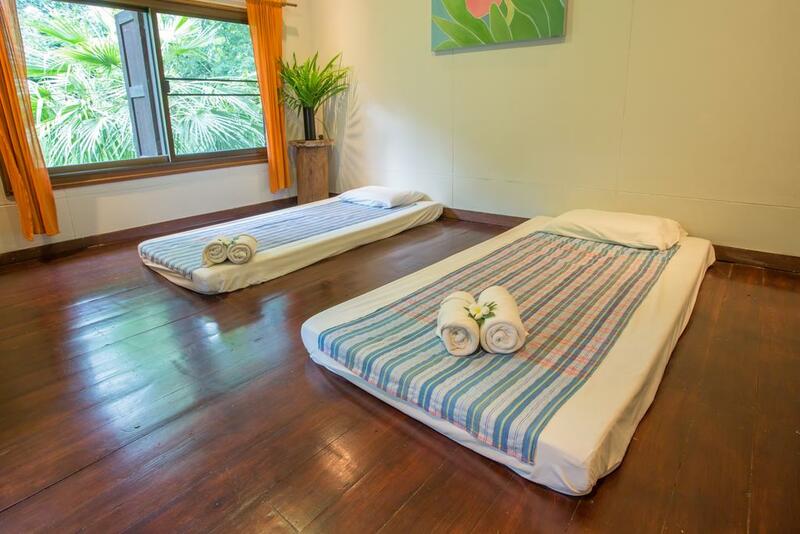 Tropica Bungalow Hotel – 132 Thaweewong Rd., Patong, Phuket – 3 star standard, price $ 51. Cheap, good and basic facilities in Phuket. 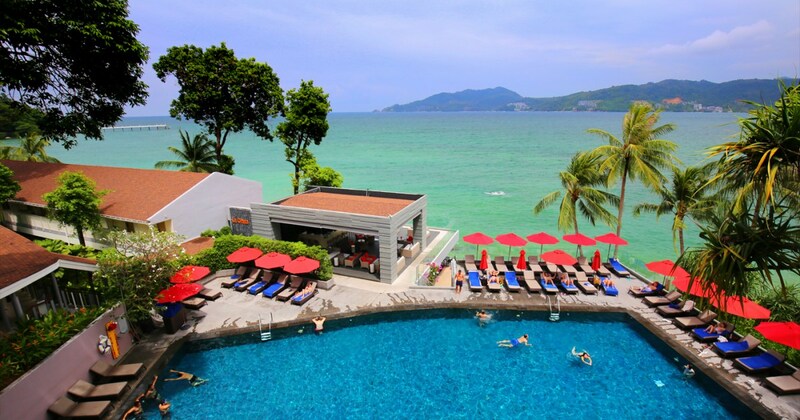 Read more: Where to stay in Phuket? 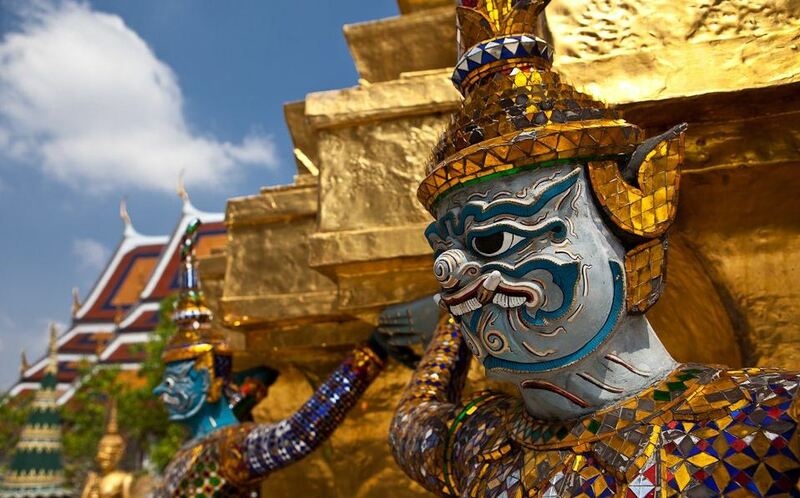 — Top 10 best areas to stay in Phuket. The beautiful Thailand has so many attractive destinations that not all visitors come here for the first time know. 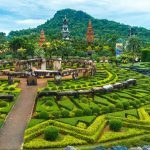 If you come to Thailand for the first time, or want to travel around the country on your own way, here are some suggestions places to visit. 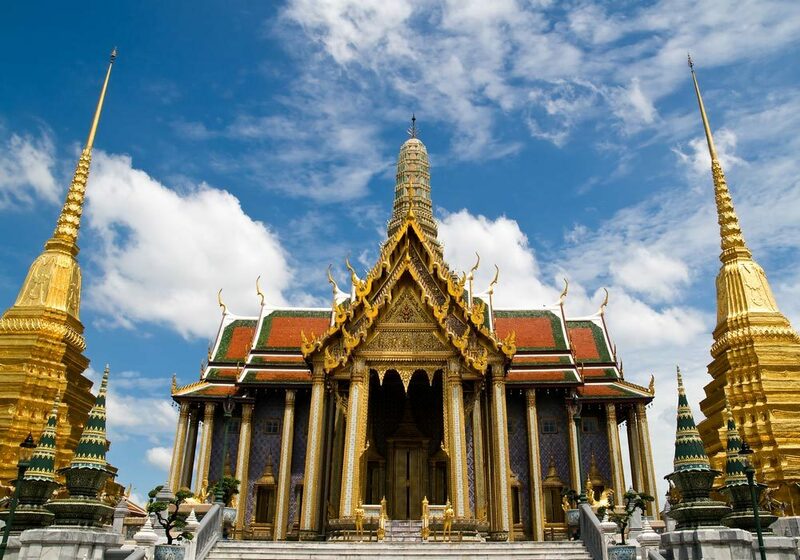 Grand Palace is one of the most popular cultural attractions in Bangkok. 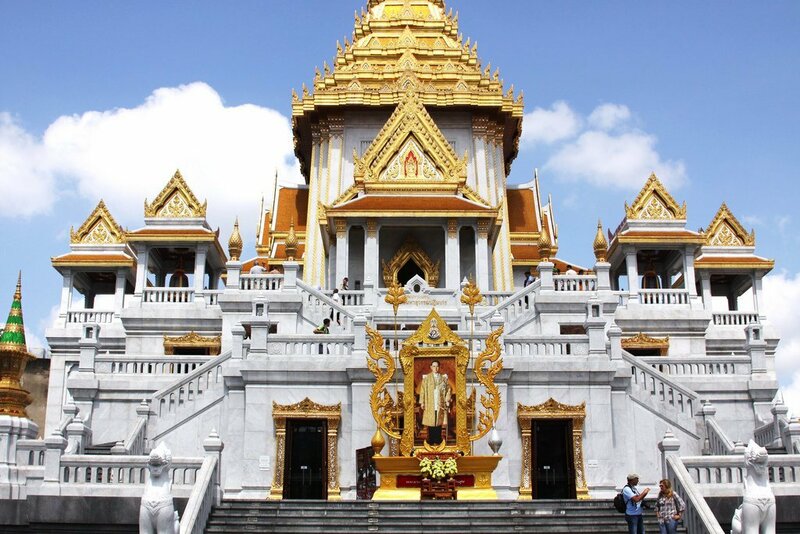 The Palace is a magnificent architectural complex, formed by three main areas: Royal Palace, Royal Office and temples with 3 prominent stupas, curved roofs, pointed stupas. This place has a special feature, not easy to fade in the minds of visitors, there are the yellow stupas, golden temples. At any time, especially at the sunset, the Royal Palace is dyed yellow brilliant, shining glittering a city skyline by the glow of the 24 carat gold leafs are plated on the temples and stupas. Right at the main gate is a large entry-box with a large Royal troops, elite, well-trained, patrolling night and day. Address: Na Phra Lan Road, Old City (Rattanakosin) / Open daily from 08:30 PM – 15:30 P.M / Entrance fee: 200 baht / person (This ticket includes entrance to Vimanmek Palace). 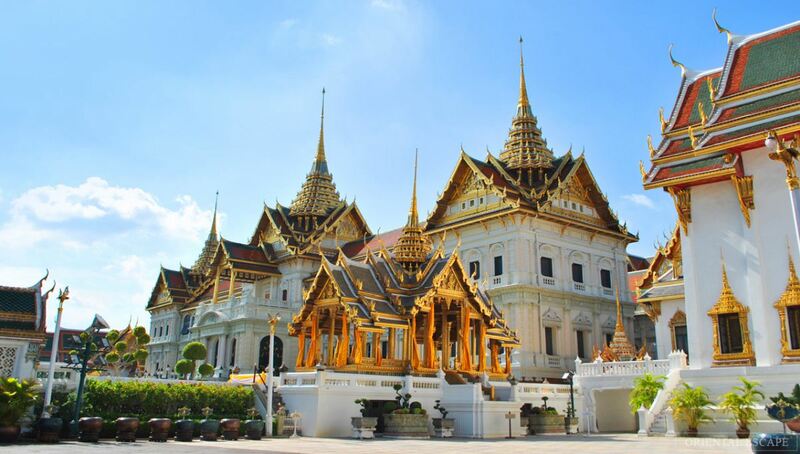 Grand Palace Bangkok. Picture: thailand blog. 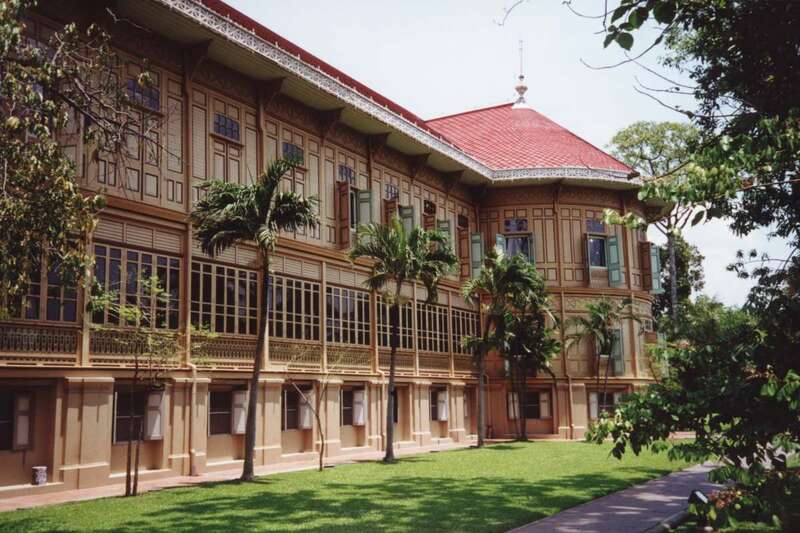 Vimanmek Mansion (Vimanmek Palace) was originally a Royal Palace of Thailand, built by King Rama V in 1901. It is the world’s largest and most beautiful yellow building made by Teak wooden, and the ideal place to stay in the hot summer of Bangkok. Vimanmek has three floors, including 81 rooms, hall and living room. 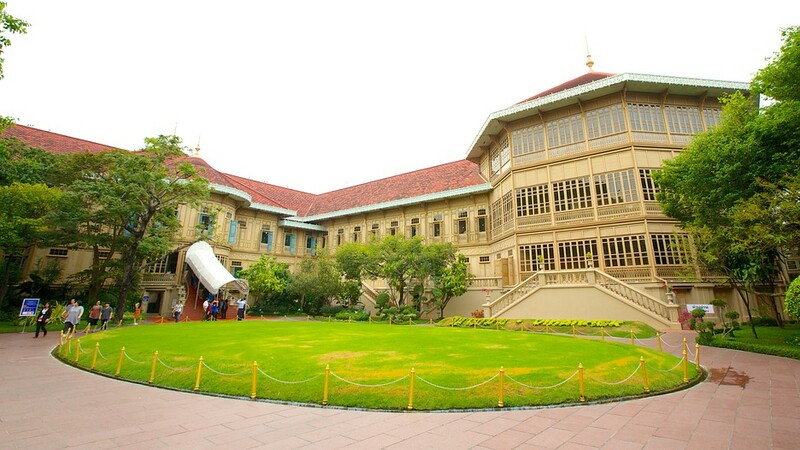 Near the entrance there is a unique collection of thirteen royal chariots from the reign of King Rama V. The Vimanmek Mansion was built in 1901 and has since been carefully preserved to promote the the splendor and prosperity of a golden age. Address: Rajavithi Road, Dusit District / Open daily from: 08:30 A.M – 16:30 P.M, entrance fee 100 baht / person including tour guide. Credit image: thailand travel blog. 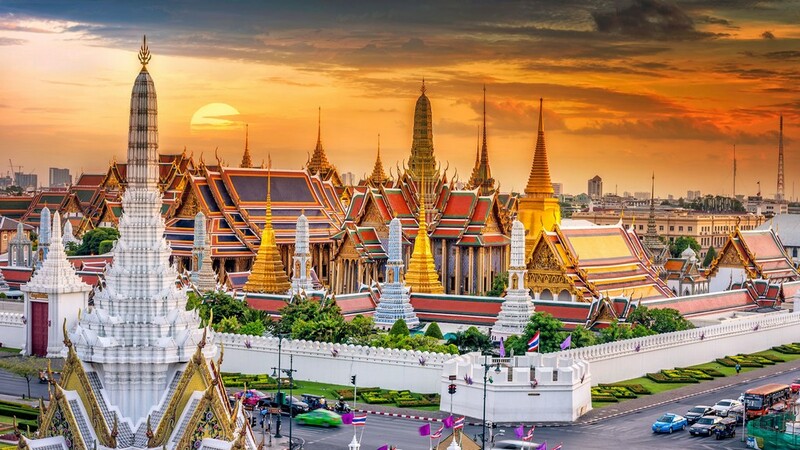 Wat Phra Kaew (Temple of the Emerald Buddha) is the largest temple in Bangkok, located in the historic center of Bangkok (District of Phra Nakhon), within the grounds of the Royal Palace (Grand Palace). This is the place where centralize the most outstanding features of Buddhist temple architecture in Thailand, with many statues and shrines. In it, the Emerald Hall is the largest, dignified, sacred, covering the religious atmosphere. Outside the hall is the statue of god holding the door higher than the real person. On the Buddha pedestal made of gold with 2 meter height is the altar of Emerald Buddha carved from a pure jade block, 66 cm high. 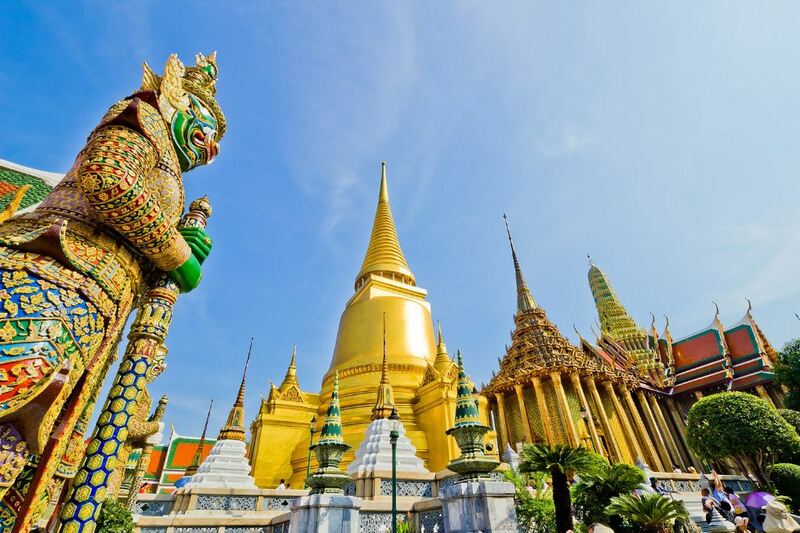 The Emerald Buddha statue is the most important statue to the Thai people, is the supreme symbol of the King of Thailand. Location: Na Phralan, Phra Nakorn (inside the Grand Palace) / Open daily from 08:30 A.M – 12:00 A.M and 13:00 P.M – 15:30 P.M, Admission 125 Baht / person. Inside Wat Phra Kaew. Picture: thailand blog. 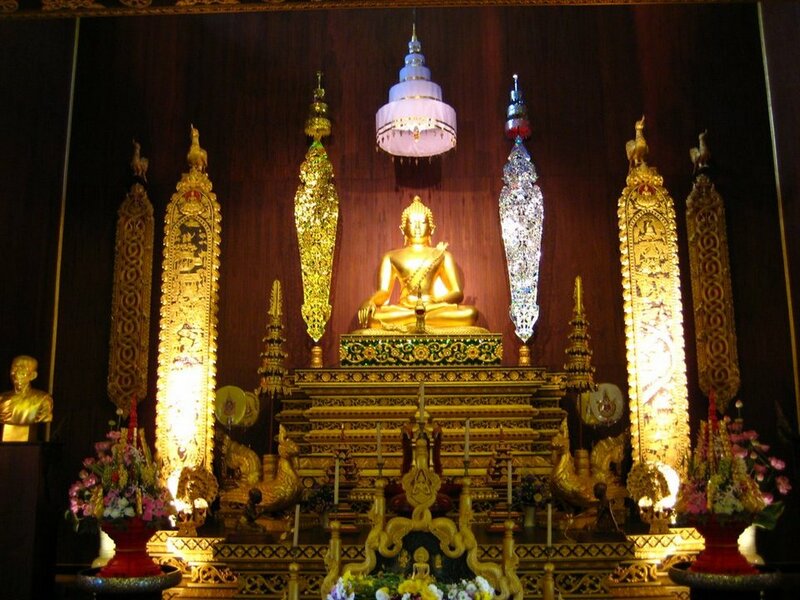 Temple of the Golden Buddha (Wat Traimit) is located in Chinatown, where is the largest gold Buddha statue in the world. 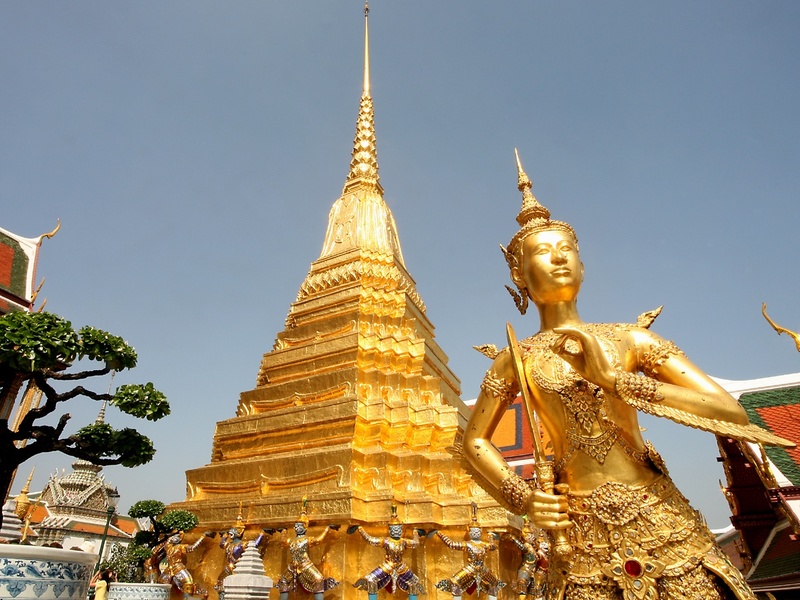 Thai people think that this statue is a symbol of prosperity and purity as well as strength and power. 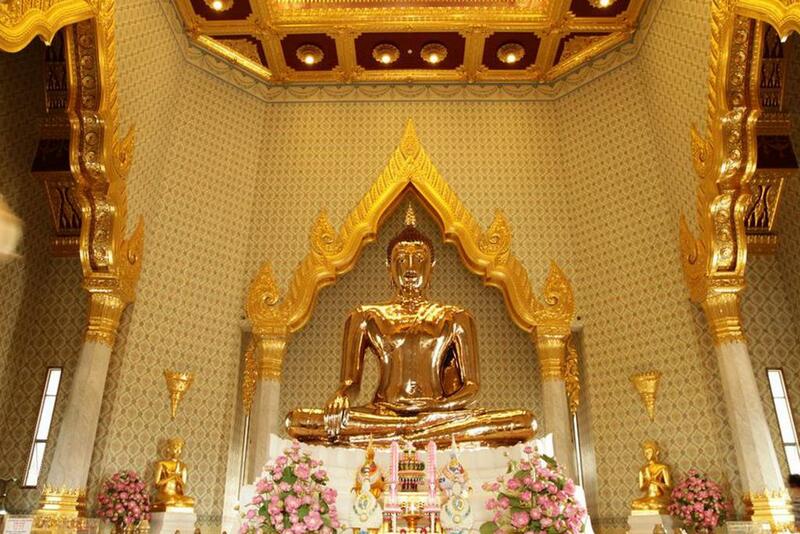 The Golden Buddha sitting statue, with 3 meter height, weighs 5.5 tons, made around the 13th-15th centuries, under the Sukhothai dynasty. The best time to visit the temple is in the morning, while still few people, convenient for sightseeing and taking pictures. Open daily from: 09:00 A.M – 17:00 P.M / Ticket price 20 baht / person. 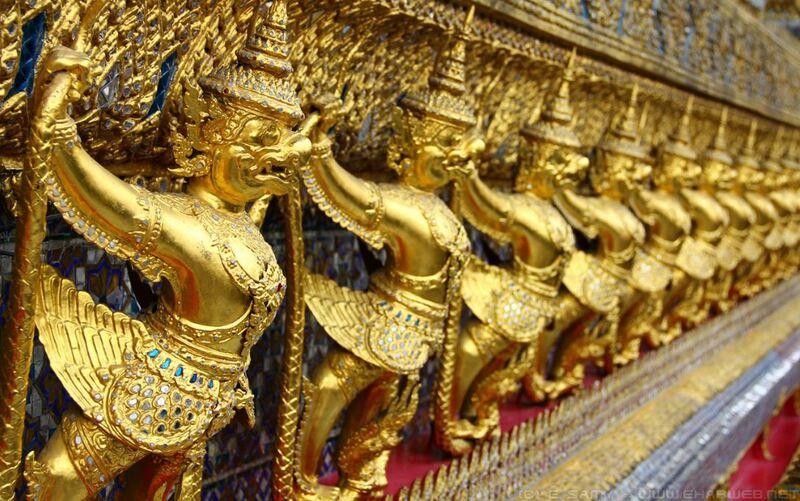 Read more: Best temples in Bangkok — Top 6 most ancient & famous temples in Bangkok you should visit.